We are occupied in offering a wide range of Men Denim Jeans to our most valued patrons. Our range of product is highly well-liked in the market owing to their finest quality and long lasting nature. These jeans are fabricated using the quality assured fabric that is bought from industry recognized retailers. Due to high demand, we offer our jeans at very inexpensive prices. Established in 2013, Addy-H is a reputed Manufacturer, Wholesaler and Supplier of Men’s Jeans. Our men’s jeans are of superior quality and give the complete cozy to the wearer. 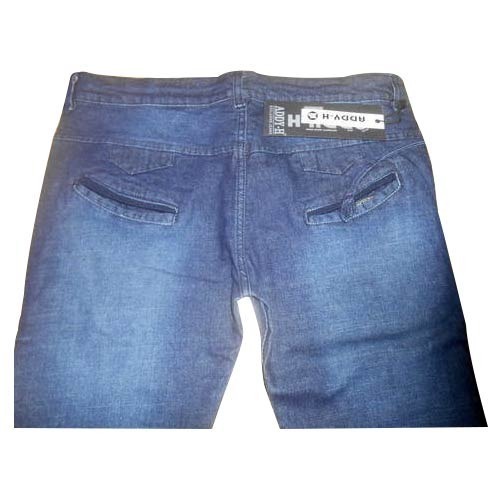 These Men’s Jeans are fabricated using the optimum quality fabric and thread that is bought from reliable suppliers of market. Moreover, these men’s jeans are fabricated under the supreme vision of highly talented experts who have affluent industry expertise. Owing to its smooth texture, unique pattern, eye-catching color, and long lasting nature, our offered range is widely demanded amongst patrons. Moreover, high quality fabric and latest fashion style are used to fabricate these Jeans.